PDF: Files linked on this page are in Portable Document Format (PDF). To view them, you will need to download the free Adobe Acrobat Reader if it is not already installed on your computer. 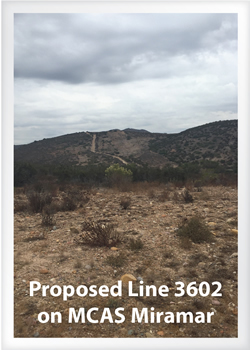 On June 21, 2018, the California Public Utilities Commission (CPUC or Commission) acted to deny the application by SDG&E and SoCalGas for a Certificate of Public Convenience and Necessity to construct the proposed Pipeline Safety and Reliability Project – New Natural Gas Line 3602 and De-rating Line 1600 (proposed project) (Decision D.18-06-028). The Formal Proceeding for Application A.15-09-013 was closed, and a California Environmental Quality Act (CEQA) Draft Environmental Impact Report (EIR) will not be published. As required by the Decision, the Commission’s Energy Division prepared Master Environmental Assessment (MEA) Documentation (CEQA Guidelines Section 15169). The MEA is available on this website for reference by this Commission or other agencies that prepare future environmental documents. The intent is to provide a public basis for future environmental reviews in the proposed project area. Included with the MEA is a description of potential alternatives to the proposed project. 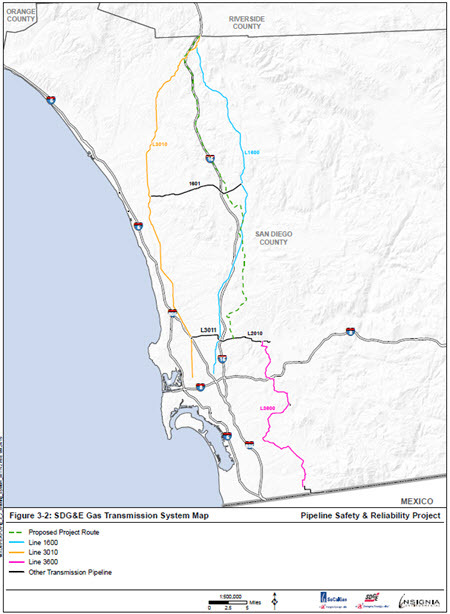 This information may be useful for the consideration of future natural gas pipeline projects, specifically, or similar linear energy projects that may be proposed in San Diego County. Among the potential alternatives considered to the proposed Line 3602 pipeline are those that would include the construction of battery storage facilities. Preliminary battery storage calculations are provided as an attachment to the description of potential alternatives (Attachment A to MEA Appendix B). A compilation of geospatial data for the proposed project and potential alternatives is available for download in Google Earth format here. See also the associated Ruling from this proceeding. For further information about the Formal Proceeding for Application A.15-09-013 and associated documentation, click here. De-rating, or lowering the pressure of, existing Line 1600 and modifications required to convert existing Line 1600 from a transmission pipeline to a distribution pipeline. The proposed project extends through the cities of Escondido, San Diego, Poway and unincorporated communities of San Diego County, and terminates on federal land within Marine Corps Air Station Miramar. Review pursuant to the National Environmental Policy Act may also be required. On September 30, 2015, the applicants requested a Certificate of Public Convenience and Necessity (Application No. A.15-09-013) from the CPUC to construct, operate, and maintain the proposed project. The CPUC regulates investor-owned public utilities in California and therefore is the agency responsible for reviewing the applicants’ Certificate of Public Convenience and Necessity application. The Certificate of Public Convenience and Necessity application included the Proponent’s Environmental Assessment which described the proposed project’s environmental impacts along with applicant proposed mitigation measures and alternatives to the proposed project. As part of the CPUC’s consideration of the Certificate of Public Convenience and Necessity application for the proposed project, the CPUC is conducting a review process that consists of (1) an environmental review under CEQA and (2) a project need and cost review proceeding. 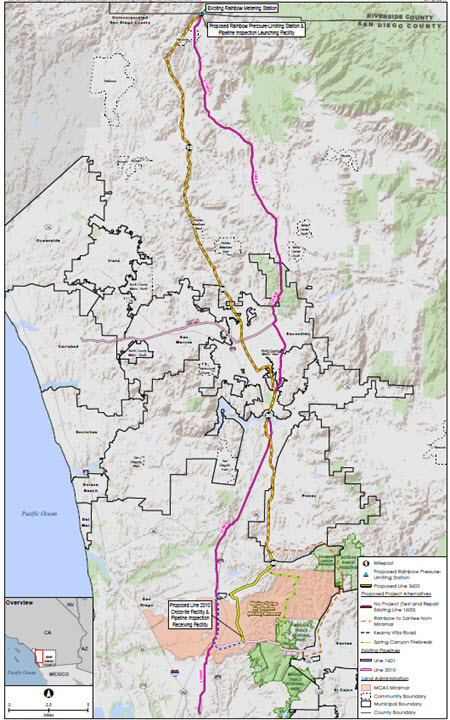 The applicants propose to construct a new 36-inch natural gas pipeline (Line 3602) that would carry natural gas from the applicant’s existing Rainbow Metering Station in Rainbow, California, to land within Marine Corps Air Station Miramar. The proposed project also includes de-rating, or lowering the pressure of, the applicant's existing Line 1600 to convert its function from transmission to distribution. Enhance operational flexibility to manage stress conditions by increasing system capacity. The proposed project would address these objectives by replacing the transmission capacity of the existing Line 1600 with a new 36-inch-diameter gas transmission pipeline, Line 3602. The applicant’s existing gas transmission system map, including the proposed project, are shown below in Figure 3-2. As the agency with jurisdiction over approval of the Certificate of Public Convenience and Necessity application, the CPUC is the “Lead Agency” for purposes of the CEQA. The CPUC will prepare a Draft and Final Environmental Impact Report to evaluate the proposed project’s potential impacts on the environment. Other regulatory agencies will work to support the CPUC Energy Division in the environmental review of the proposed project. The California Department of Fish and Wildlife is participating as a CEQA “Responsible Agency.” The California Department of Transportation also may participate as a CEQA “Responsible Agency.” Responsible agencies are state agencies, other than the CEQA Lead Agency (i.e., the CPUC), that are responsible for carrying out or approving the proposed project. 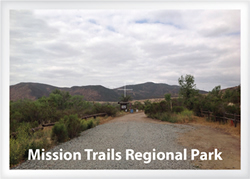 The California Department of Fish and Wildlife is also a CEQA “Trustee Agency” for the proposed project. CEQA “Trustee Agencies” are state agencies that have jurisdiction over resources that are held in trust for the people of the State of California and that would potentially be affected by the proposed project. The CPUC reviewed the Certificate of Public Convenience and Necessity application and Proponent’s Environmental Assessment for completeness. The CPUC deemed the Proponent’s Environmental Assessment complete on August 23, 2016. Details pertaining to the status of and CPUC’s environmental review process can be found below in the CPUC Application Review Process section. This site provides access to public documents and information relevant to the CEQA environmental review process. Additional project documentation will be posted as it becomes available. 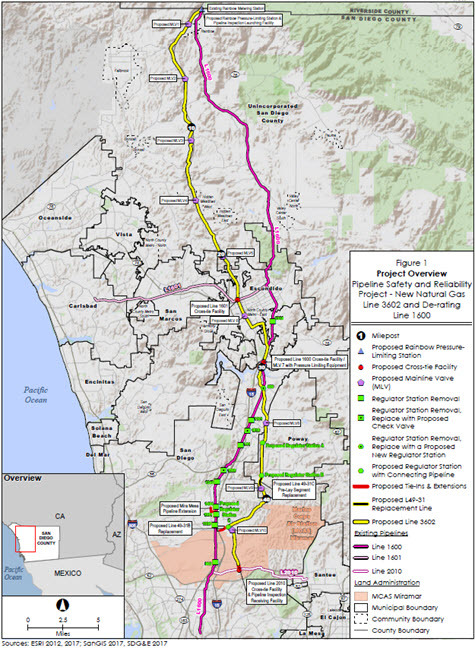 The proposed project is located in San Diego County, California, and crosses the cities of Escondido, San Diego, and Poway; unincorporated communities in San Diego County; and terminates on federal land within Marine Corps Air Station Miramar (see Figure 1, Project Overview below). About 3.5 miles of pipeline would be located within Marine Corps Air Station Miramar. To view a more detailed map series of the proposed project in relation to highways and roads, please click here. To view a more detailed map series of the route alternatives the CPUC anticipates evaluating in the EIR in relation to highways and roads, please click here. Mainline Valves: Ten new mainline valves are proposed approximately every five miles to stop the flow of gas during operation and maintenance, and emergency situations. Each valve would be located within the pipeline permanent easement and have a footprint of approximately 50 feet by 75 feet. Rainbow Pressure-Limiting Station: The proposed Rainbow Pressure-Limiting Station would be located approximately 50 feet south of the existing Rainbow Metering Station on applicant-owned land. 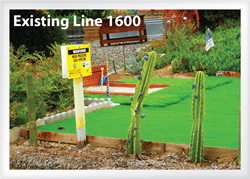 Line 1601: The existing 16-inch diameter pipeline (Line 1601) cross-tie would be near milepost 23 and SR-78 in the City of Escondido. The footprint is estimated to be 0.2 acres and would be enclosed by six- to eight- foot high concrete block walls. 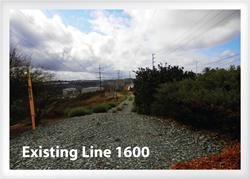 Line 1600: The existing 16-inch diameter pipeline (Line 1600) cross-tie would be near milepost 29, Bear Valley Parkway, and Mule Hill Trail (unpaved road). The footprint is estimated to be 0.1 acres and would be enclosed by six- to eight- foot high concrete block walls. Line 2010: The existing 20-inch diameter pipeline (Line 2010) cross-tie would be located at the proposed project terminus on Marine Corps Air Station Miramar. This cross-tie would also include a pig receiver, valve control equipment, communication equipment, and a solar panel for power. The footprint is estimated to be 0.3 acres and would be enclosed by six- to eight- foot high concrete block walls. Install approximately 1.08 miles of 8-inch-diameter distribution pipeline along the pre-lay segment of pipeline within Pomerado Road. Construction of the proposed project would begin in the third quarter of 2019 and would take approximately 15 to 21 months to complete. The EIR will evaluate a reasonable range of alternatives to the proposed project that could achieve all or most of the objectives of the proposed project, while avoiding or reducing one or more of its significant environmental impacts. Alternatives will include a “no project” alternative. 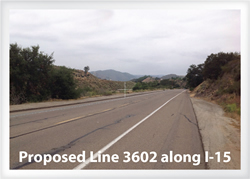 In addition to the applicants’ proposed route for Line 3602, the CPUC anticipates evaluating the route alternatives shown on the figure below in the EIR. The CPUC may develop additional alternatives for consideration and analysis based on input received during the scoping period (see Notice of Preparation and Scoping section below) or in response to potentially significant environmental impacts identified during development of the EIR. The applicants submitted their Certificate of Public Convenience and Necessity application and Proponent’s Environmental Assessment to CPUC on September 30, 2015. The Proponent’s Environmental Assessment includes a discussion of the proposed project’s environmental impacts, proposed mitigation measures, and alternatives to the project. Additionally, per the Administrative Law Judge ruling dated January 22, 2016, an Amended Application (including a Proponent’s Environmental Assessment Supplement and Cost Effectiveness Analysis) was requested and submitted by the applicants on March 21, 2016. A link to the application, Proponent’s Environmental Assessment, and the Amended Application can be found in Table 1 below. The CPUC reviewed the Certificate of Public Convenience and Necessity application and Proponent’s Environmental Assessment for completeness. Within 30 days of the submittal of the application, the CPUC must deem the application complete, or notify the applicant of deficiencies. The CPUC issued letters of deficiency (4) requesting additional information from the applicants. The CPUC deemed the Proponent’s Environmental Assessment complete on August 23, 2016. On March 17, 2017, Marine Corps Air Station Miramar provided a letter to the CPUC and the applicants summarizing their role in supporting the CPUC’s environmental review process for the project. On March 20, 2017, Marine Corps Air Station Miramar provided comments to the applicants on alternative route alignments across federal land. To date, the CPUC has issued seven data requests asking for additional information from the applicants. The CPUC continues to review the project and will request additional data and information, as necessary, to review and analyze the environmental impacts of the proposed project and alternatives carried forward for detailed analysis in accordance with CEQA requirements. As the applicant’s responses to outstanding or new information gaps are provided to the CPUC, they will be added to Table 1. Links to the CPUC's four deficiency requests and the applicant's responses; the CPUC's completeness letter for the Proponent's Environmental Assessment; the Marine Corps Air Station Miramar letters; and the CPUC's seven data requests and the applicant's responses are included in Table 1 below. On May 9, 2017, the CPUC distributed a Notice of Preparation to potential responsible and trustee agencies under CEQA, interested parties, and members of the public. The purpose of the Notice of Preparation was to inform recipients that the CPUC began preparation of an EIR for the proposed project and to solicit information and guidance on the scope and content of the environmental information to be included in the EIR and identify potential alternatives. The Notice of Preparation included a description of the project that the applicants propose to construct, information regarding project location, a summary of potential project-related impacts, the times and locations of public scoping meetings, and information on how to provide comments. The Notice of Preparation was circulated for a public review and comment period that began on May 9, 2017, and ended on June 12, 2017. Links to the CPUC’s Notice of Preparation and related documents are provided in Table 1 below. Scoping is the process used to gather comments and input from all potential responsible and trustee agencies, all other public agencies with jurisdiction by law over the proposed project, and members of the public early in the CPUC’s environmental review process. The comments and other information provided during the scoping process are helping the CPUC determine the scope, focus, and content of the EIR and identify the range of alternatives, environmental effects, and mitigation measures to analyze in the EIR. The CPUC conducted six public scoping meetings on three dates during the EIR scoping period (see Table below). All interested parties, including the public, responsible agencies, and trustee agencies, were invited to attend the public scoping meetings to learn more about the proposed project, ask questions, and provide comments in person about the proposed project and the scope and content of the EIR. The CPUC also provided information about the proposed project and its decision-making process at each meeting in a variety of ways including a presentation and a series of fact sheets. Links to the fact sheets that were provided to stakeholders who attended the public scoping meetings and the presentation that was given by the CPUC during the scoping meetings are provided in Table 1. The scoping period began on May 9, 2017 and ended on June 12, 2017. All public scoping comments must have been received, or postmarked if hardcopy, by June 12, 2017. All comments received during scoping, including the names and addresses of those who comment, will be made part of the public record for the proposed project and may be made publicly available. The scoping period ended on June 12, 2017. *Presentations were held each day at 2:30 PM and 6:30 PM. On June 21, 2018, the Commission acted to dismiss without prejudice SDG&E and SoCalGas’s application for a Certificate of Public Convenience and Necessity to construct the Pipeline Safety and Reliability Project. Pursuant to Decision 18-06-028 a Draft and Final EIR will not be completed and public meetings will not be held. As required by Decision D.18-06-028, the Commission’s Energy Division prepared MEA Documentation (CEQA Guidelines Section 15169). The MEA is available on this website here for reference by this Commission or other agencies that prepare future environmental documents. The intent is to provide a public basis for future environmental reviews in the proposed project area. In addition to the CPUC’s environmental review, the CPUC also appoints an Administrative Law Judge to review the Certificate of Public Convenience and Necessity application with a focus on the need for and cost of the proposed project. This analysis aids the Commission in reaching a decision on the Certificate of Public Convenience and Necessity application. The CPUC’s proceedings website provides each of the CPUC ruling and decision documents associated with the proposed project. The CPUC proceedings for this project (Proceeding Number A1509013) is available by clicking here. Application A.15-09-013 was denied on June 21, 2018 by Decision D18-06-028. To request additional information, please contact the CPUC’s CEQA Project Manager. Per Administrative Law Judge (“ALJ”) ruling dated 1/22/2016, an Amended Application was requested. As engineering and design of the project continues, the applicants have submitted additional information to the CPUC to be considered during their environmental review under the CEQA.